We welcome the startup aspirants with some facts that they need to know. In case you are thinking about a startup, location selection is perhaps the first thing you are supposed to consider. Obviously, we all are attached with our home towns, but it should not be preferred every so often. Let us discuss about some factors that are directly related to your business growth. What are the basic factors to be considered while selecting a location? These are some areas you should emphasis on, while selecting a suitable location for landing your idea into reality. However, many more factors are there that are important this agenda. It is a lifetime investment; so, you should be careful in it. It is a fascinating thing for you if you belong to New Delhi or any nearby province. The capital of India is considered as one of the finest destinations for Indian investors as well as the outsiders. Expecting to be the top destination of foreign investment in the current year, it almost offers all elements we have mentioned here. Apart from all these factors, it has a resilient hold on the telecommunications, media and tourism that could push your business growth up to certain. You must be glad to know that the city is the core point of e-commerce startups. Nevertheless, manufacturing is the other strength of the concerned destination. As we all know, Bengaluru is globally known as India’s largest IT city. Besides, it has a broader prospect for the manufacturing startups as it is providing all the essential elements. Not only the availability of talent, but the capital city of Karnataka is also sound in resource frugality. Even it is ready to welcome you if you want to relocate your old business venture. Mumbai, the financial capital of India, is a highly populated city. E-commerce startup owners will be provided with sufficient amount of IT professionals; it is one of the finest educational destinations of India in terms of information technology. But this is not the end. The city offers enough space for the manufacturing startups. Its connectivity with Hyderabad, Chennai, Pune and Ahmedabad is well known. If the goal of your startup is focused on ever-increasing growth, Pune is a good option for you. Owing to its vast infrastructural facility and increasing market size, many foreign investors are finding their way towards this startup destination. This shoreline touching city has reported more than 10% growth in the current financial year. 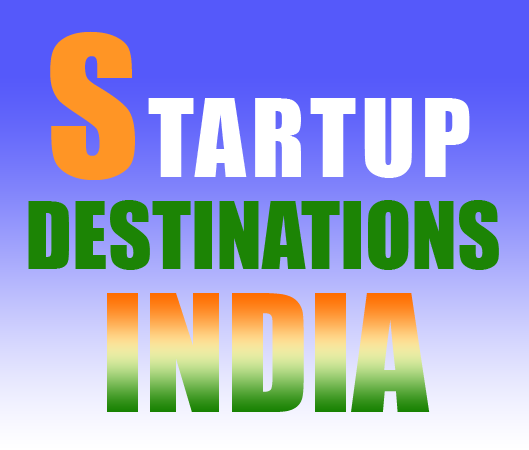 Noida has emerged as a great destination for startup business, whether it is a service based startup or manufacturing. Connected to the national capital, this city has drawn attention from all businesses corresponding groups. The strength area includes flawless transportation, immense growth of advertising industry, and enormous market demand. Interestingly, easy funding a small business is the other positive of this destination. Apart from all of the above there are a number of FINTECH platforms available, that are launched by NBFC’s and help to the startups in providing easy and affordable business loans for all type of businesses including micro, small and medium.